The name of our company says it all! Our company is about pure joy and exhilaration in a wilderness environment. Play is a powerful tool in relaxation and education. Since beginning our kayak and canoe programs in 1994 we have always strived to balance safety with confidence and skill building in a wilderness environment. Ultimately, the fun factor is utmost! We derive much enjoyment from imparting our love of adventure and play with our visitors and guests. Come & play with us today! Safety for novice to intermediate paddlers. Crossing Slocan Lake is not necessary. 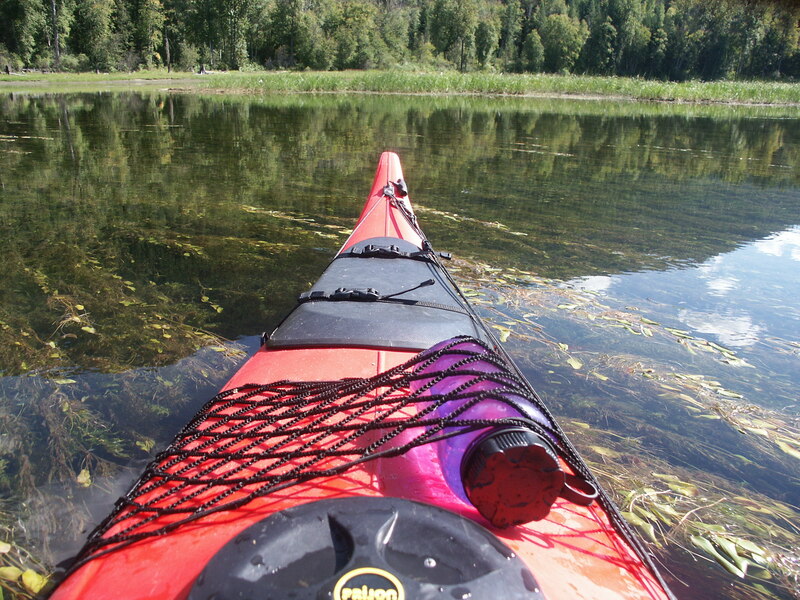 Paddle close to the shoreline – if you are not comfortable with the weather, pull over and wait it out! No navigational skills required – it is hard to get lost! Swimming. Many secluded swimming sites accessible only by boat or hiking. Hiking. From a gentle walk along the lake to the challenging mountain trails and traverses. View the alpine flowers. River Floats. Safe, gentle river floats on inner tubes, small rafts or canoes. Camping. One of the finest municipal campsites located on Springer Creek right in Slocan. 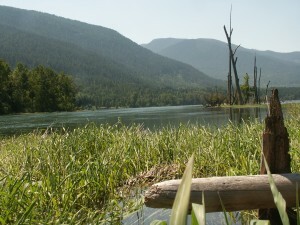 Slocan Lake Adventure by Kayak or Canoe – the icing on the cake! The scenic Slocan Lake offers a simply stunning paddling trip. This multi-day trip allows the combination of hiking, swimming and fishing in a wilderness environment. 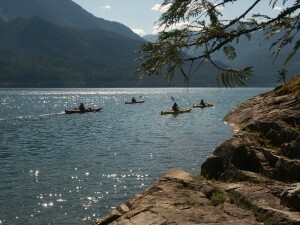 Paddle and camp along the West side of Slocan Lake, much of which is within the boundaries of Valhalla Provincial Park. Eight beachfront campsites along the route provide facilities that include tables, camp pads, clean outhouses and most importantly, facilities for the safe storage of food to prevent attracting bears! The most common length of this trip is three to five days. This is plenty of time to enjoy some of the hikes into the high country, as well as time to relax on the beach and read a book with an unbelievably gorgeous backdrop. Sit around a campfire with your friends or family; tell stories, laugh and bond with each other. A rare commodity – in a world away from busy, hectic lives! This is the perfect family outing for the beginners or experienced. You are on your own but help is never too far away. Getting together with a group of friends, staff or family for a sea kayaking adventure can be an amazing experience! Enjoy your time together while we look after the details. 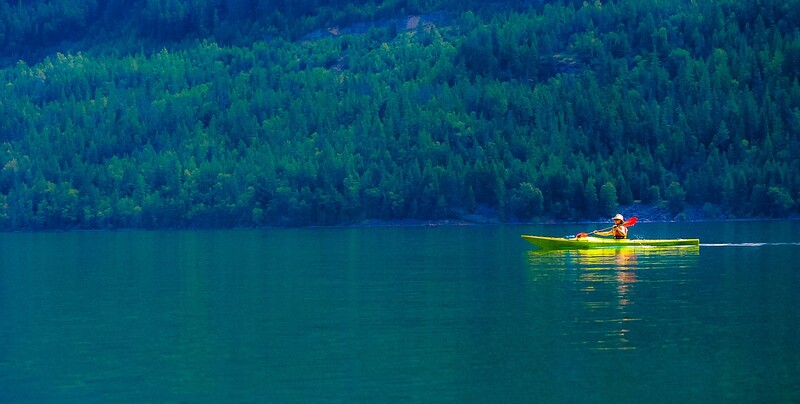 Crystal waters, majestic peaks, paddling and exploring during the day and camping on beaches will give you that "Kootenay feeling" like nothing else can. 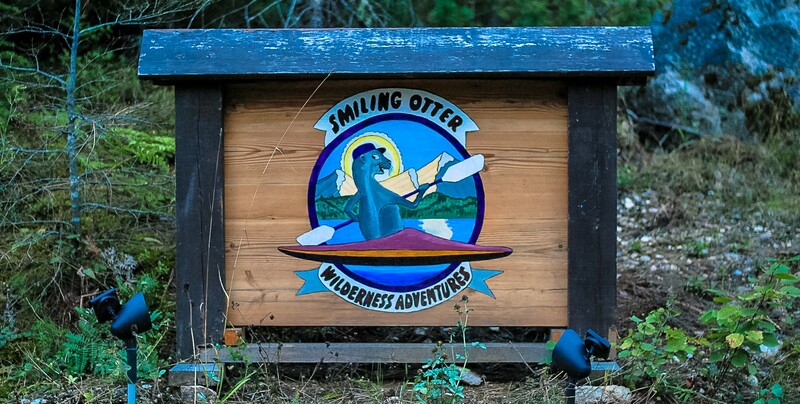 Contact Smiling Otter Wilderness Adventures Ltd. well in advance of your departure date and we will be happy to work with you to develop a custom tour itinerary. To avoid disappointment we recommend that you reserve your boats ahead of time. Prices include paddles, pfds, bailer, throw bag & tax “per day” means the calendar day - not “24 hour rates” Rentals must be returned by 7:00 pm unless otherwise arranged. (drivers license, credit card or park your car at our site). We offer a range of shuttle options on Slocan Lake to make your experience more convenient and provide security for your vehicle and personal property. We can shuttle you and your gear to the North end of the lake. Then you can paddle and camp along the Western shoreline to our site where your vehicle will be waiting for you. This service can save you the hassle of arranging rides or hitchhiking once you are here. The cost of a shuttle varies depending on your group size, distance traveled and isolation factors. Call us for a quote. Note: We charge a parking fee for groups that are not renting our boats. Learn to paddle this summer. Our exceptionally patient instructors will initiate even the most hesitant of beginners into the exciting world of kayaking and canoeing! Through education and experience paddlers can become more aware of their personal limits, keeping them safer on the water and making the time spent much more enjoyable. Smiling Otter offers custom courses that will fast track you to becoming a safer paddler. Accidents do happen and people do capsize. Don't become a statistic. At Smiling Otter we like to customize our lessons to smaller private groups. Instruction is much more effective as students are not as intimidated as they would be in a large group with people they do not know. Learn the basics of paddling as well as important safety procedures such as braces, what to do in big waves, re-entry when swamped, assisted and self-rescue procedures. Students start their instruction on flat water practicing the basics of paddling. • Getting in and out of boats • Emergency wet exits • T-rescues • Understanding boat stability and braces • Basic strokes • Basic river reading skills and understanding river running As the students’ skills and confidence develop they are introduced to the basics of moving water on the gentle section of the Upper Slocan River (Slocan Beach to Smiling Otter’s Beach – 1 km). Along this section of the river, the students practice the basics of moving water: ferries (moving across the river); and eddy turns, (pulling into a quiet eddy to stop) and develop an understanding of safely running unknown waters. River running principals such as river reading, safety, group dynamics and trip leadership are an ongoing part of our kayak instruction. We teach the eskimo roll for self-rescue for whitewater and touring on a one-to-one basis. If you are planning a canoe trip this year, here’s a program that can help get you prepared! We will instruct the basic paddle strokes as well as what to do in big waves, re-entry when swamped, assisted and self-rescue procedures. ACCESS:Halfway between Castlegar and Nelson is the junction of Highway 3A and Highway 6. Highway 6 runs along the Slocan River to Slocan City in the North. Seven bridges cross the Slocan River. All of them provide good access and parking for take-outs and put-ins. 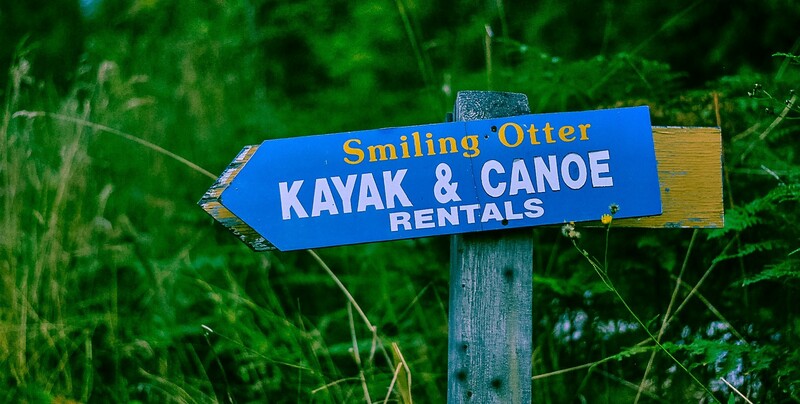 Shuttle service is available from Smiling Otter Kayak & Canoe in Slocan City. The Slocan River flows out of Slocan Lake which lies nestled between the Goat Range and the Valhalla s in the mighty Selkirk Mountains. The river runs approx 55 km to its confluence with the Kootenay River between Castlegar and Nelson. The river formed a major transportation link to the bustling gold and silver mining areas of the Silvery Slocan in the 1890s. In the 1920s and 1930s again it played an important roll in the area development as a means of transporting logs from the mountains to sawmills in the south, hence the numerous pilings along the river. Pilings were used to prevent log jams. Today the river has become a playground for recreational canoes and kayakers. Canoes and kayakers ply the waters of the rivers while hikers, cyclists and cross country skiers take advantage of an old abandoned rail line which runs along the side of the river.Whether gliding down the river on a hot sunny day or skiing along the old rail line on a crisp, cold, clear winter day, the stunning scenery of the Slocan Valley makes it a worthwhile respite from a busy congested world. This is a very peaceful stretch of the Slocan River. Enjoy the pastoral farmland set against the backdrop of spectacular mountain vistas. The shallow reed and rush choked waterway teems with the waterfowl and wildlife of the Walter Clough Wildlife Reserve. Watch for osprey, eagles, geese, ducks, beavers and otters or stop and swim and the many beaches along the way. HAZARDS: Very few. The major hazard involves taking out at Lemon Creek. Log jams are below Lemon Creek. A small rapid at the take-out makes capsizing a possibility. At high water this is a serious outcome. 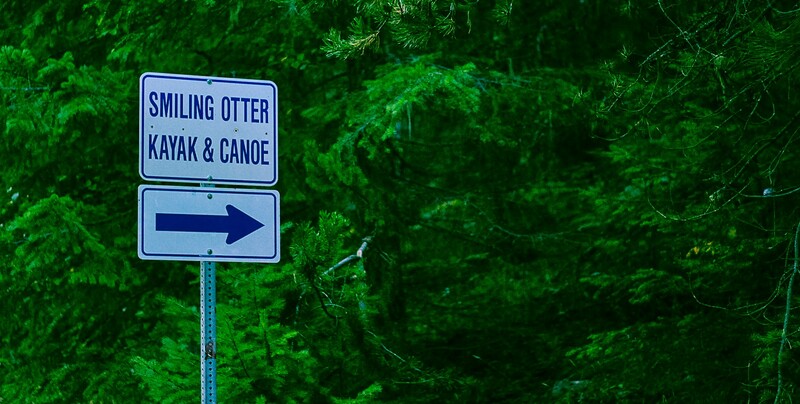 PUT-IN: Slocan City Public Beach or Smiling Otter Kayak & Canoe or Bridge on Gravel Pit Road Paddle upstream close to shore back to Gravel Pit Road or Smiling Otter to take-out. UPPER TAKE-OUT is safer. It requires a longer walk up along Lemon Creek on a rudimentary trail with no markings to railway grade (approx. 200-300 meters). Please avoid stopping at the developed private property above the creek. LOWER TAKE-OUT is a very narrow 4 x 4 accessible road. It is found at the Lemon Creek rail trail parking lot on Kennedy Road and allows paddlers to drive close to the river. The danger at this take-out involves paddling through the confluence of Lemon Creek and the Slocan River, which at a higher water level is a Class 2 rapid immediately above an 8 km stretch of rapids and log jams. The section below Lemon Creek to Appledale is not recommended due to faster water, small rapids and various log jams and sweepers. It is deceptively dangerous. Appledale to Winlaw is a very good run for the total beginner. It is a calm moving water section through a reflective green pastoral setting. There is a sandy bottom and numerous beaches in the late season. Just before the Winlaw Bridge is a beautiful sandy beach on river right. This is the Winlaw Nature Park complete with bathrooms, picnic tables and a series of interpretive trails through a heavily treed wetland area. This section is typified by small to medium rapids and strong current differential, numerous sweepers and some log jams. With moderate moving water canoe skills all can easily be avoided. During times of average water levels there are numerous sand and gravel beaches to stop and languish in the sun. Human development is much less visible along this section of the river. 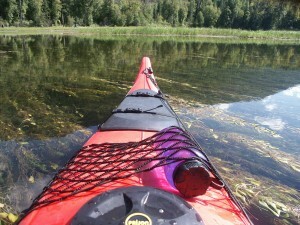 This section is a very nice introduction to wilderness river paddling. HAZARDS: Many log jams and sweepers. Moving water skills are required. NOTE: Use added floatation in canoes in moving water. Without added floatation rescue of your boat may be difficult on this section during periods of high water levels. This section is just great fun with many places to practice ferrying, eddy turns and surfing small waves. Intermediate moving water skills are required. This section of river is perfect for teaching both white water kayaking and canoeing. HAZARDS: Some sweepers and small log jams are easily avoided. The main hazard on this section are wood pilings. They are deceptively dangerous to you and your canoe - AVOID THEM! TAKE-OUT: Crescent Valley Public Beach. This is the first point the river is clearly visible from Highway No. 6 traveling North from the junction of Highways 3A and 6. The lower Slocan River is a warm, clear, clean river with good fun for most of the year. Intermediate through expert paddlers always seem to be able to find some thrills on this section of the river. This section of the river has many large surf waves and holes which can keep you busy for hours.This is a white water run. The biggest drop can be portaged on river right by trail. All other rapids can be walked. Be aware that the trails cross private property and access may become an issue. There is almost always someone on the river on the weekends for information. Bring your gear and enjoy great fun! HAZARDS: Some large holes and rocks but generally a clean safe run. Moderate to advanced moving water skills are required. Our most popular trip is the North to South of Slocan Lake (or a “there and back” trip). The Western shoreline is part of the Valhalla Provincial Park and there are beach campsites and hiking trails on the shoreline. We could help you with your shuttle to the North End and you could paddle all along the shoreline to our location where your vehicle would wait for you. 3-5 days is perfect for this trip. Another resource for this adventure is the brochure & map at the BC Parks website. There is a brief description of the hiking trails along the lake. Home of ducks, geese, eagles, beavers . . . Spectacular camping and fishing on a small, calm mountain lake. Little Slocan Forest Service Recreation Site 21 km from Slocan City via 3 season gravel road (Little Slocan Forest Service Road).